Welcome to Drones World, here we are again, with the same goal as before: bring you the best and most updated drone related information! It has always been our aim from the start and it will always be. Today we have a Hubsan X4 H107D+ review for you! Most likely if you are not new on the drone industry you already know Hubsan manufacturer. They have produced some high quality products such as the global commercial hit Hubsan H107D. If you are new to drone industry, I’m happy to bring you this information first hand! Hubsan has upgraded their successful model, thus resulting in Hubsan X4 H107D+! This amazing and (somewhat) affordable quadcopter with a very good built-in camera is ideal to both beginners and experts. A First Person View (real time video transmission= drone which every enthusiast loves to have, beautiful design, smooth flight, easy to control, packed with great and useful features! Welcome to our Hubsan X4 H107D+ Review! Let us take a deeper look into this amazing FPV quadcopter by Hubsan. This small (12 x 12 x 6) FPV quadcopter comes in a complete package with all you need to perform First Person View flights right out of the box. Hubsan X4 H107D+ is one of the most sought drones in the low-cost market when it comes to beginners and casual flyers. Why? Well besides being an upgraded version of a previous great model, H107+ as a nit design together with some great flight performance. Suitable for both indoor and outdoor flights, this quadcopter is small, lightweight (57 grams), and easy to control and it has a stable hover. But this is not what makes Hubsan X4 H107D+ stand out from the shelf. H107 Plus features one of the most recent (and yet very rare) functions to be added on low-cost Toy Grade drones: Altitude Holder. Previously a feature only found in higher-budget drones, some companies such as Hubsan, Pioneer and Syma, have started to include this amazing feature in their newest products. Altitude Holder (also known as Barometer Set Height) is great for photography and videography purposes. It allows pilot to lock drone’s height, consequently the drone will maintain that height autonomously, without much pilot’s input. This allows pilot to focus on the photographs or video. Altitude Holder is one of the breakthroughs in Toy Grade drones for this year of 2016 and what better way to test it than with a Hubsan product?! Besides the Altitude Holder, Hubsan X4 H107D+ also features other more common functions such as Headless Mode, which allows pilot to easily control H107D+ despite where the front of the quad is pointing at. 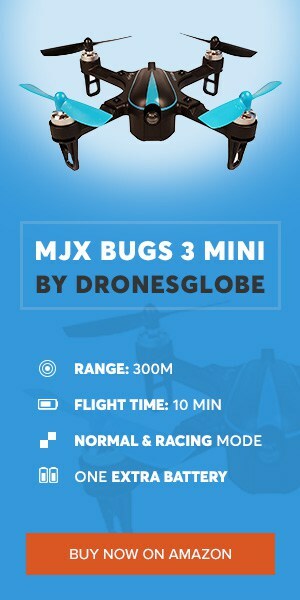 This feature is very useful for beginners and children curious about flying a drone, as it enables a much easier control. However, if you are serious about learning how to control a drone it is important to practice non-headless flights too. On top of all this greatly useful features Hubsan X4 H107D+ also comes with cool LED lights for flights at night and the 360º aerial roll-over with just a tap of a button on the RC controller. Last, there is the auto cut off battery safety, meaning the quadcopter will descents to a safe altitude to land when battery starts running low (this prevents crashes and other problems such as losing the quadcopter). As you can see X4 H107D+ includes both useful and fun features to enhance your flight experience. It’s time to discuss what one of Hubsan X4 H107D Plus most important features, the live video transmission. First of all, as you can tell by the design of the quadcopter, the camera is built-in, as in previous H107 model. It’s a 2MP camera with a Wide Angle lens which considerably improves the view. Image quality is very decent, recording at 720p and will surely please most people (watch video to check camera image quality). Live video transmission is done directly to a 4.3” built-in monitor in the 2.4 GHz remote controller. It works in 5.8 GHz frequency, ensuring no delay and good quality. Video has no ‘jello effect’ which is amazingly good since this is one of the biggest problems in Toy Grade drones cameras. Hubsan X4 H107D+ is not this quadcopter’s strongest characteristic, however, you won’t be disappointed. Powered by a 3.7V 380mAh li-po battery, H107D+ has a flight time around 7 minutes, which is the average flight time for quadcopters within this size and price range. On the other hand, battery only takes 30 minutes to fully charge (quite amazing and useful) and can be charged via USB. Therefore, you can plug it to your computer, quickly charge it and continue flying. Hubsan X4 H107D+ includes an interesting RC controller. It works at 2.4 GHz frequency like most remotes and has 4 channels. It has a built-in 4.3” LCD screen do display live video and transmission is done in 5.8 Ghz frequency, therefore not interfering with controlling frequency. Unlike other Toy Grade FPV drones which transmit via WiFi, Hubsan actually makes use of a 5.8 Ghz frequency which is much better for FPV flying. THE GOOD Hubsan X4 H107D+ is a great small FPV quadcopter to fly both indoor and outdoor. Easy to control, very stable, even the most of beginners won’t have a hard time controlling this drone. Built-in camera is decent quality and it will provide some nice aerial footage, live video has no ‘jello effect’. Wide Angle is useful. Features Altitude Holder which is a great and rare addition to any quadcopter, a very fun and useful feature which will mark this Toy Grade drone era in 2016. H107D+ comes in a complete FPV package ready to fly out of the box. THE BAD Control distance is only between 50 to 100 meters depending on flight conditions. Although 100 meters is the average range for drones within this price range, it will most likely not hit 100 meters but around 60 to 80 instead in most cases. X4 H107D+ does not feature One-Key Return, it would have been a great feature to add, unfortunately Hubsan didn’t include it. BOTTOM LINE Overall Hubsan X4 H107D+ is a great quadcopter to own, either if you are a beginner or expert, this quadcopter ensures fun and ease of use. It is one of the most global available quadcopters and with reason to be. Take it indoors or outdoors and perform FPV flights in decent quality which will please most flyers. It still a bit too pricy for what it is, however it’s quite durable and will last you long if you know how to handle it. Consider buying this quadcopter, you won’t great owning a Hubsan! What do you think of our Hubsan X4 H107D+ review? Have you ever owned the previous model? Are you curious about this upgraded version? Are you considering buying one after reading our review? If you still have any questions and doubts please let us know in the comment section, we at Drones World are always ready to answer your questions. Don’t forget to check our other drone reviews, if you didn’t like Hubsan X4 H107D+ don’t worry, there is a drone out there that fits your needs. If you enjoyed H107D+ let us know too! Have a great day and happy flying!